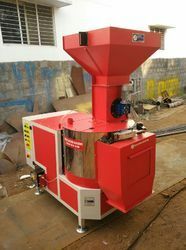 Leading Manufacturer of seed coating machine, seed batch blender, manual seed coating machine and seed dryers from Hyderabad. We are engaged in offering a best range of Coated Dryers all over india with best quality. This can be used for all kinds of spices, pulses, oil seeds, grass, vegetable seeds and many other crop seeds, grains like wheat, bajra,sesame seed, green gram, black gram, rice, mustard seed and others types of seeds also. Stainless steel has been used for fine finishing and durable usage and we made use of high mgrade metal moreover it is operated with motor, it occupies low space, omits less noise and easy to install and change the places. These are certified from experienced vendors in the market. These can be availed in extensive models for different applications and industries. Some of the salient features of our coated dryers is Longer service life, Low maintenance, occupies less space, Robust construction, Efficient energy, longer functional life, Eco friendly nature, Emergency alarms and fit for drying of all the seeds. 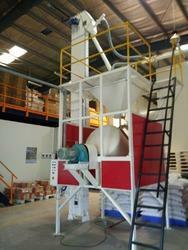 We are manufacturing Seed Blenders fully Auto Matic and Semi Auto Matic Models, Our Range 300 kg To 1500 Kg/Batch. 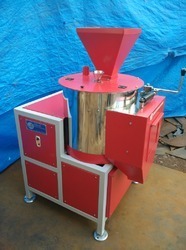 We are Manufacturing all type of Seed Coating machines like Manual, Semi Automatic and Fully Automatic machines. 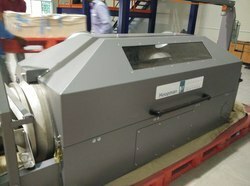 Looking for Seed Industry Machines ?